The government reiterates that APC is not perturbed by the gale of defection, especially by National Assembly members. The federal government on Monday assured that the gale of defection in the nation’s party politics will not shield any corrupt politician from investigation and prosecution. 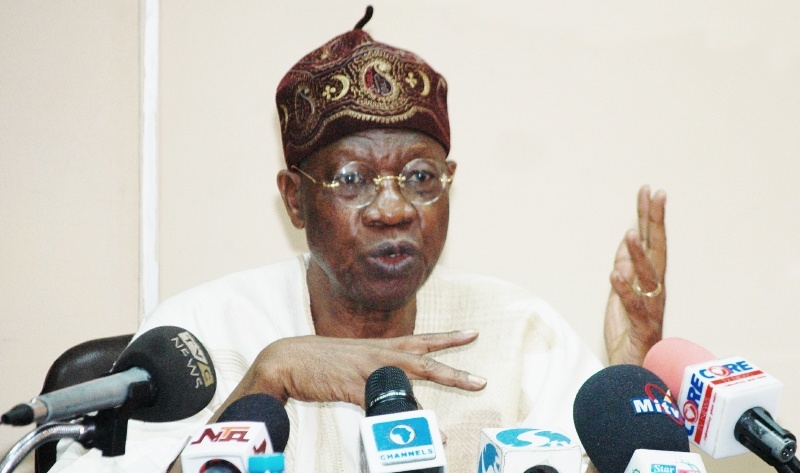 The Minister of Information and Culture, Lai Mohammed, gave the assurance when he paid an official visit to the Abuja office of The Authority Newspaper. Fielding questions from members of the editorial board of the paper, the minister said that defection, even to the ruling All Progressives Congress (APC) would not immune politicians who had looted the nation’s economy from being prosecuted. “Nigerians should be rest assured that the fact that some persons are moving from one party to another does not mean that they will escape prosecution. “Nobody will escape investigation and prosecution on the ground that he or she has moved to APC. “We have shown that with a former governor and a member of our party that was convicted. We will never terminate anybody’s prosecution on the ground of decamping. “However, it is not for the executive to do the work of the judiciary,’’ he said. The minister, however, said that many of the defections being witnessed were not premised on the allegation of escaping justice. He said some defected for “political calculation and personal reasons’’. Meanwhile, the minister had reiterated that the ruling party was not perturbed by the gale of defection, especially by members of the National Assembly. “We did not just start noticing this, the foundation for it was laid the day Dr Bukola Saraki became the Senate President. “In every part of the world, when a party has the majority in Parliament, the party decides who is going to be the leader of the parliament. “This is a case where the party was still waiting for the president to resolve the issue when Saraki, from the back door, emerged as senate president. “From then, we have known, because his emergence was illegal and against the wish of the party,’’ he said. The minister said that to make the matter worse, Mr Saraki made a deal with the opposition PDP, by conceding the deputy senate president’s position. “In the last two years, the National Assembly has been behaving as if the opposition is in control. We have a senate president that is so hostile to the government. “For three years, budgets are passed only in June. As I speak today, there has been no disbursement on capital project in 2018 budget. “Critical appointments are also being delayed and the government is being blackmailed every day,’’ he said. “I have never seen in history, where a leader of parliament will announce the defection of 15 members from his party. “The proper thing is, if you are loyal to your party, you put stumbling blocks on such defection,’’ he said. Mohammed said that Kwara, his state and that of Saraki which is the epicentre of the defection, remained solidly behind APC and Buhari. The Senate on Wednesday observed a minute silence for Faye Mooney, the British aid worker killed in Kajuru Castle, in Kaduna State last week.